This is the smallest tube of toothpaste you’ll ever have the pleasure of encountering. And no, that’s not a giant mint. 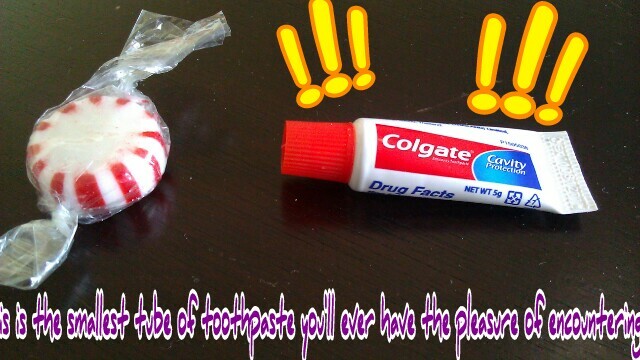 The toothpaste is JUST. THAT. SMALL.